As times progress we have to discard social evils that are incompatible with the concept of fairness, non-violence and equality. Humanity takes centre stage when we speak about ‘progress’ in society. Same principles should be deployed when we speak of untouchability, terrorism, racism or any other social evil in the world. But, it has been noticed that there is a bias among ‘liberal intellectuals’ when discussing any social evil or event. It appears that the tone of criticism is harsher for some religions and milder for others. Pranab Mukherjee attending RSS event in Nagpur: Criticism on casteism is so harsh that it implicates those who are not guilty of caste discrimination. Quantico and Priyanka Chopra vaguely apologising to Indians for portraying Hindu terror: Criticism of the radical Muslim community is a ‘no-go’ area even if there is a distinct connection between a terror attack with radical Islamism. 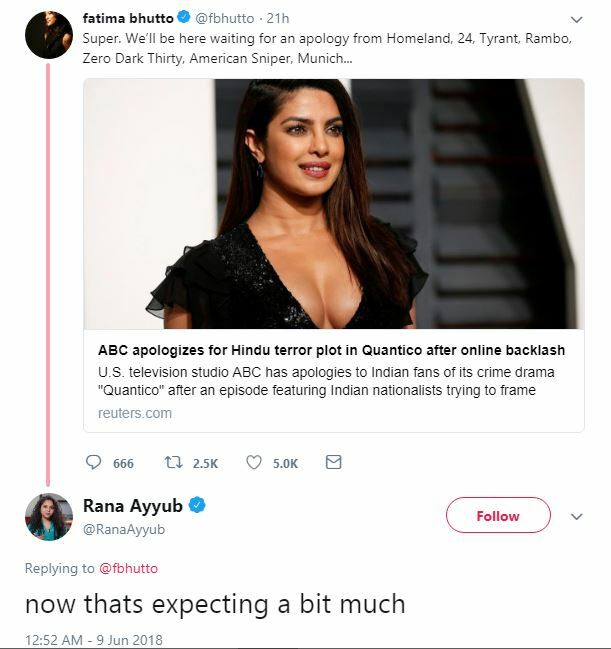 The tone of the narrative is, Priyanka Chopra should never apologise for portraying ‘Hindu terror’ in spite of overwhelming evidence against its presence. On the other hand, Pranab Mukherjee was demonised and all his achievements were negated because of his participation in an RSS event because it has been branded as a ‘Brahminical fascist’ organisation. In addition to this, the former president’s caste was also dragged into the debate to criticise his actions. Media discourse about these two events is a classic example of how contrasting narratives are manufactured on ‘social evils’ depending on the religion in question. According to Rahul Gandhi, RSS is an organisation that supports Manu-wadi ideology (referring to Manusmruti which defined caste). The discourse in mainstream media is also similar. In reality, RSS has been working to eliminate caste discrimination among Hindus. In addition to this, the oorganisation’spro-Hindu tilt also makes it an untouchable for secular organisations/parties as well. The implied meaning here is: Brahmins must be perpetually demonised in the eyes of all Indians because caste discrimination had affected lives of others in the past (and on some occasions in the present as well). There is no excuse for the intellectuals and society for portraying them in a positive light. 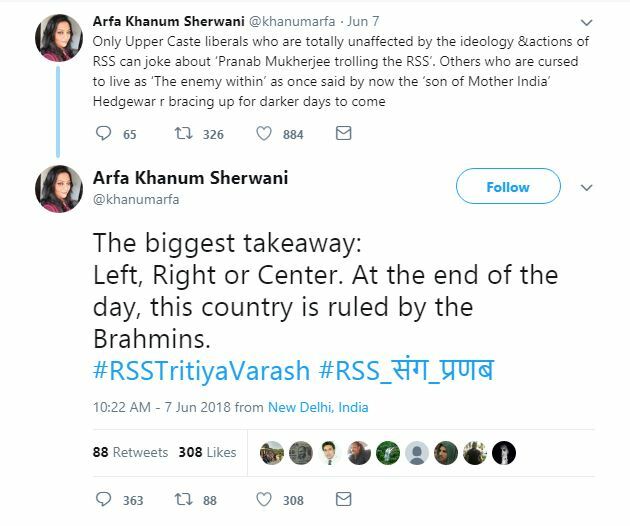 Even though a large majority of Brahmins stand opposed to caste discrimination all of them have to be demonised as per the plan of these intellectuals. Bashing RSS / Brahmins is a lucrative profession which has helped in careers of many intellectuals and journalists in India. The illogical hatred against RSS was exposed by Arnab Goswami in a panel discussion on Republic Channel. Let us now step aside and see how intellectuals treat Islamic terrorism. A large number of terror attacks are carried out by Muslims in the 20th and 21st century. This claim is not a flimsy one. A list of Islamic terror attacks can be found here. Yet, the secular cabal believes that the Muslim community should not be questioned at all because the attacks are carried out by a ‘select few’. This logic is opposite to the one applied to Brahmins on the issue of caste discrimination. They want mainstream media to avoid portraying Muslims in wrong light even if the story is based on a true event like Munich terror attack on Israeli athletes. In the below conversation, a Pakistani writer asks Hollywood to apologise for a long list of movies/TV shows that portrayed instances of Islamic terror. Voices that speak about problems with Islamism are rare. Imam Tawhidi and Tarek Fatah are rare exceptions. Most Muslim journalists and intellectuals prefer to ignore deficiencies of their religion and take a defensive line while talking about Islam. Is there any intellectual or a liberal Muslim who has openly campaign against the exclusive formulation of ‘Kafir‘ in India? Classifying the non-believer and prescribing harsh treatment / special taxes on non-believers is a case of discrimination, just like the treatment of untouchables by casteist Hindus in the past. But we have never seen any protest or condemnation against the concept of ‘Kafir‘ by those who preach equality and human rights. There have been protests against Israel in India for their treatment of Palestinians. But I am yet to see a protest march against ISIS for their treatment of Yazidi women. On the other hand, radical Muslims in Mumbai thronged in large numbers for the burial of Yakub Memon who was hanged for his involvement in terror attacks. In addition to the leftist publication like The Wire try to whitewash terrorism by rationalising these heinous crimes. In Kashmir, violent stone pelters are portrayed as ‘victims’ by media. This is a mockery of logic and sheer corruption on part of intellectuals and media. Just like liberal Hindus who are speaking out against social evils of their religion, liberal Muslims should be more vocal against social evils in Islam. Being defensive and indulging in whataboutery is not the solution. Nobody in their right minds wants innocent persons to be demonised for acts of other individuals belonging to their religion. But the discourse on social evils must have some sort of logic and coherence by the end of the day. 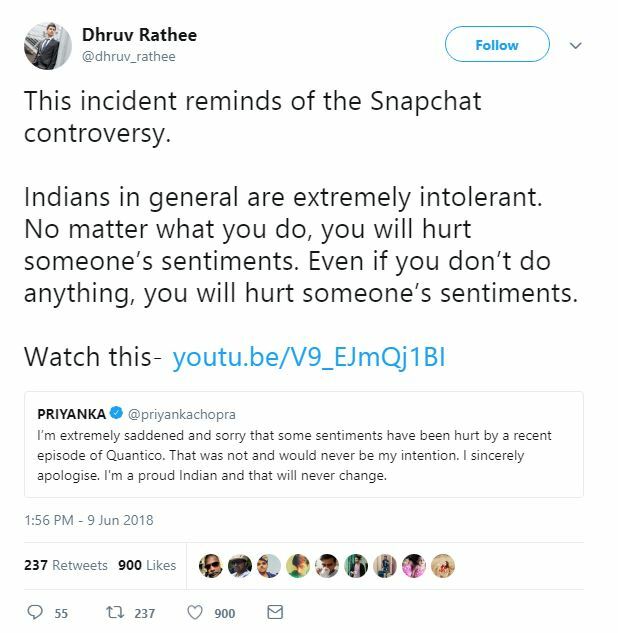 Intellectuals can’t get away with their one-sided narrative where one religion gets criticised for its deficiencies whereas the other escapes all scrutiny in the name of tolerance or fairness. This double standard has to end.